RUNNING NEVER SOUNDED SO GOOD. The fourth edition of The Music RunTM by AIA Vitality will take place on 4th November at a new home at the rejuvenated world class sporting complex, KL Sports City. This year’s event will be the first in the world to see the addition of a new timed 10k track, allowing Music Runners in KL to take their fitness game to new highs . 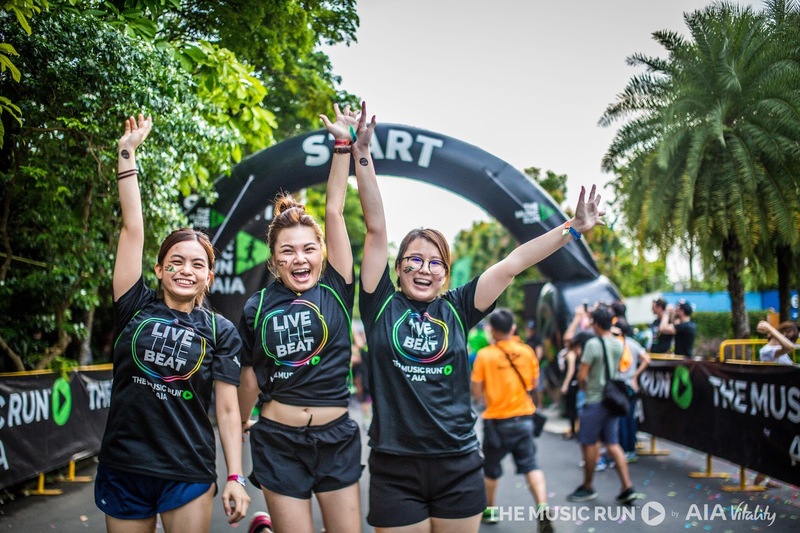 The Music RunTM held its inaugural event in Kuala Lumpur in 2014 and since then has been experienced by more than 200,000 runners across 25 events and 12 countries from Malaysia to South Africa. 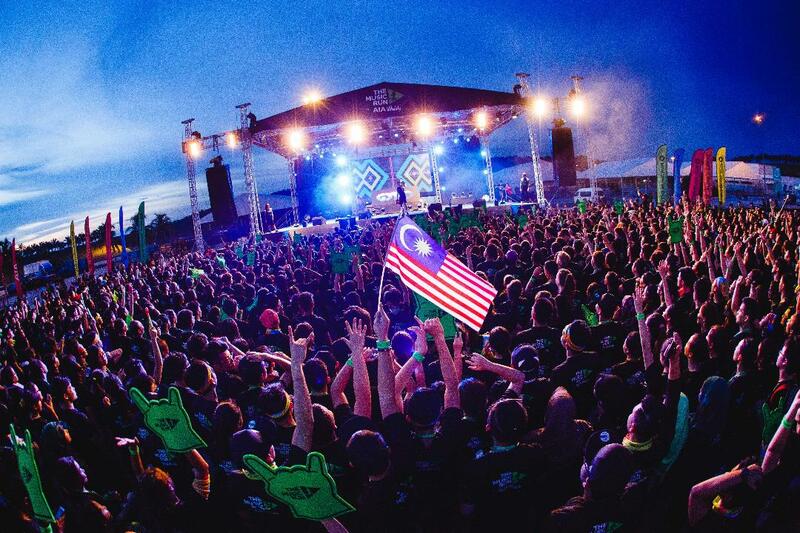 Last year’s KL event saw a record 20,000 runners packed Sepang International Circuit for the ultimate 5k run, culminating in an epic finish line music festival . The Music RunTM is proud to continue its long-standing partnership with presenting sponsor, AIA Malaysia. Eric Chang, Chief Marketing Officer of AIA Bhd. 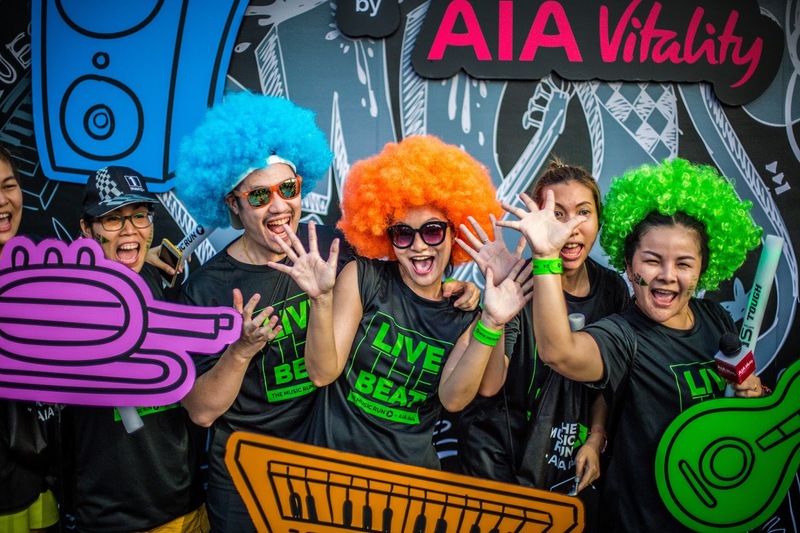 says, “This year, we are thrilled to partner The Music Run once again under the AIA Vitality banner. 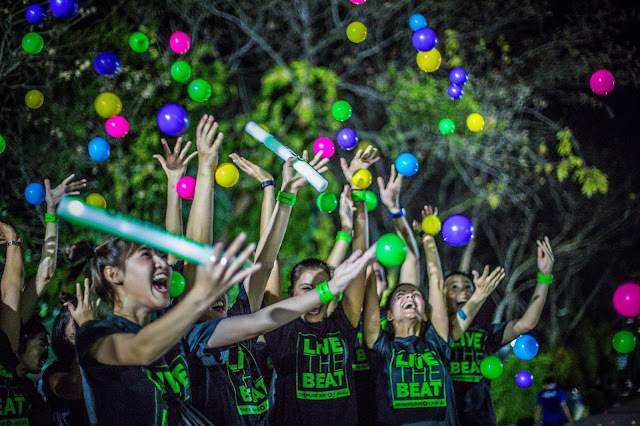 It is our mission to help people everywhere live longer, healthier and better lives and The Music Run is an excellent way to show Malaysians that exercise can be fun. It doesn’t matter whether you’re walking, running or dancing through the track – every step counts in making a positive change to your life.” “With the new 10km category, we hope to encourage Music Runners who have participated in previous years to step up and challenge themselves to run a greater distance!” Eric added. This year, the Music Runners can choose their level – either the 5k or 10k distance – and run through either one loop or two loops of an upgraded run course, dubbed as the Sound Track . Upgrades to the Sound Track include brand new ‘Inspo Zones’ which will replace five music zones. Runners will now hear a single playlist throughout the entire course designed to inspire and motivate participants throughout the run. With speakers every 50m blasting 150,000 watts of the best running beats, this promises to be a fitness high like none other. 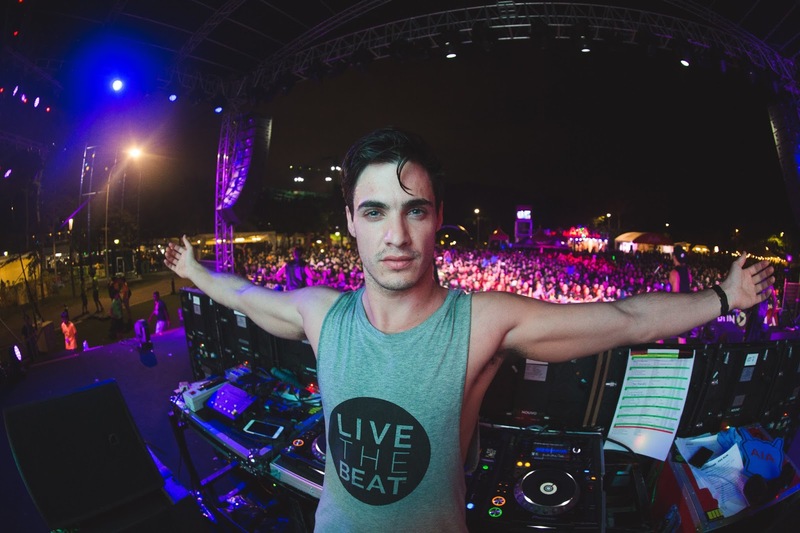 Malaysia’s favourite rock band Kyoto Protocol will entertain runners prior to their warm up, while runners can look forward to an electric finish line party by returning DJ Sam Withers from Australia. Other cool activities along the route and music village will also be revealed closer to the event day . The Music Run is also excited to extend its partnership with Malaysia’s own AirAsia, a regional sponsor of the event across Asia and owner of one of the ‘Inspo Zones’ on 4 November. Details of the new ‘Inspo Zones’ are kept as a surprise but runners will not need wings to fly through this zone for sure! Interested participants can register for the event through www.themusicrun.com.my. Tickets start at RM90 with free entry for kids under five years old. All Music Runners receive the new 2017 finisher medal and there will be two event packs to choose from: the Standard pack, which includes an event t-shirt, RFID wristband, temporary tattoos stickers and draw string bag; or upgrade to the Rock Star pack, which includes all the Standard pack items plus a limited edition Rock Star cap and sunglasses, as well as a cool waist pouch to store your phone and personal items while you run. For more information please visit The Music Run website or Facebook page . For music lovers, fitness runners and first-timers, The Music Run is the most uplifting 5k and 10k running series on earth. With speakers every 50m pumping 150,000 watts of sound and ‘Inspo Zones’ to fuel your running beat, this is a fitness high like no other. Running never sounded so good. Launched in 2014 by Fresh Events Global, The Music Run has been experienced by over 200,000 runners across 25 events in 12 countries. 2017 will see further global expansion of The Music Run with events in Europe, Africa & the Middle East and Asia. AIA Bhd. is a leading insurer in Malaysia, where we have been privileged to do business since 1948. We offer a suite of financial solutions including Protection, Health, Personal Accident, Employee Benefits, General Insurance, Mortgage, Retirement and Family Takaful products to meet our customers’ protection and financial security needs at every life stage. Through our wide and diverse distribution footprint which comprises a 14,000 strong Life Planner force, our exclusive bank partner’s branches nationwide as well as corporate sales teams and brokers, we give our customers the choice of deciding how, when and where they connect with us . Part of the AIA Group, the largest independent publicly listed pan-Asian life insurance group, AIA Bhd. has the financial strength, experience, service centre network and a well-trained team of more than 2,000 staff to serve our 3 million customers nationwide . As at 31 May 2017, AIA Bhd.’s total asset worth was RM50 billion , with a paid-up capital of RM767 million. Exceed Sports & Entertainment is an award-winning mass participation events & sponsorship agency. Exceed operates from four regional offices, staging innovative sports and entertainment events in eight countries across Asia. With a dedicated team of international and local experts, and a strong reputation for best practice implementation, Exceed provides tailored event solutions and delivers measurable results. Exceed was awarded Gold in “Best Event–Sports” in the 2016 and 2017 Marketing Events Awards, the highest accolade presented by Asia’s most recognized event awards platform .